Scott has been a boat enthusiast/owner for over thirty years. He is a current boat owner who has owned twelve boats including both power and sail boats. His background includes over twenty years as a corporate sales and marketing executive for a Fortune 50 company. For the past ten years, he has been successfully marketing and selling yachts in the Southern California market. Scott holds a current USCG Master License (100 GT) with a towing endorsement. He has many years of providing new boaters with instruction and training in yacht handling....skippering boat charters and yacht management and deliveries. 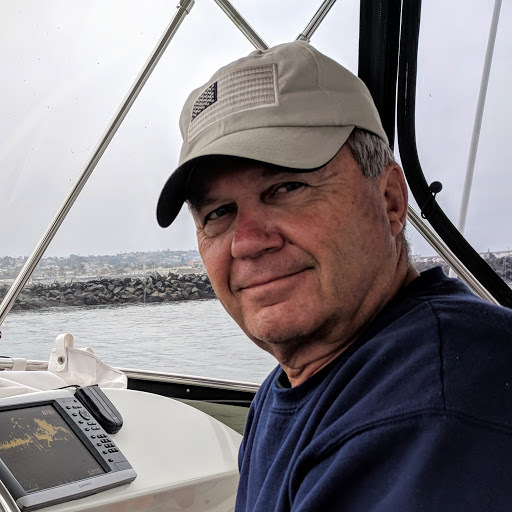 Scott has twenty plus years of experience as an member of the USCG Auxiliary where he holds the classifications of Coxswain, Instructor and Vessel Examiner. He and his wife are active members of the Southwestern Yacht Club in San Diego and enjoy cruising with the club in their own personal yacht...."Happy Hour".